IBM - 40K2522 IBM - INTEL XEON DUAL-CORE 7020 2.66GHZ 2MB L2 CACHE 667MHZ FSB 90NM 165W SOCKET PPGA-604 PROCESSOR FOR IBM SYSTEM X3800 X3850 X3950 X3950E (40K2522). NEW BULK. IN STOCK. READY TO SHIP SAME DAY. 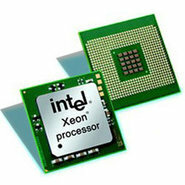 Dell - JF060 JF060 Dell - Intel xeon dual core 7020 2.66ghz 2mb l2 cache 667mhz fsb micro-fcpga processor. New Bulk Pack. IBM - 25R8941 25R8941 IBM Intel xeon 7020 2.66GHz dual-core 2x1MB cache 667MHz fsb 604-pin micro-fcpga socket 90nm 64-bit processor for IBM e-server x460 mxe460 x366 IBM system x3950 x3950e. New Bulk Pack. IBM - 40K2522 40K2522 IBM Intel xeon 7020 dual-core 2.66ghz 2x1mb cache 667mhz fsb 604pin micro fcpga socket 90nm 64 bit processor for IBM system x3800 x3850 x3950 x3950e. New Bulk Pack. Hewlett Packard - 399752-001 399752-001 HP Intel Xeon Dual Core 7020 2.66GHz 2MB L2 Cache 667MHz Fsb 604pin Micro Fcpga Processor For Proliant Dl580 G3 Server. New Bulk Pack.